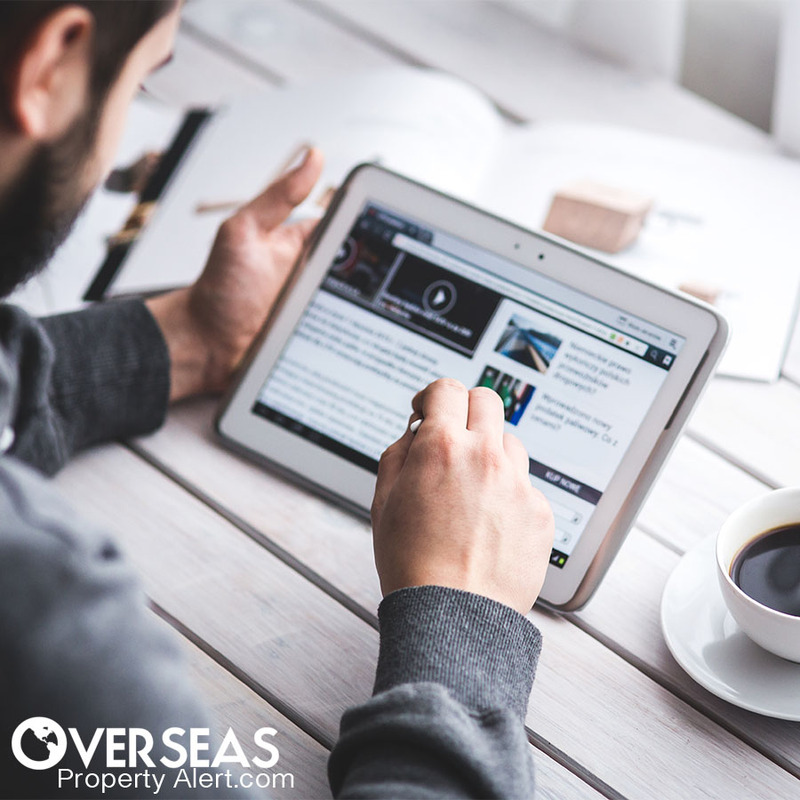 As an overseas property owner looking for income, you need to pay attention to how your property is being marketed—this is critical to the success of your rental property. Specifically, you need to be aware of the best marketing channels to effectively promote your property to ensure high occupancy levels in your unit. Right now, the best and most effective marketing outlets for a short-term rental are online booking websites. Not only do these platforms allow you to promote your property, they’ll also receive payments on your behalf. I would even say that it’s imperative that any rental property owner get their property listed on every worthwhile online booking site. Can’t My Property Manager Do This Marketing? Some property managers only take care of the physical property and don’t really have a good marketing arm. Perhaps they do check-in, check-out, and take care of maintenance and bill-paying… but not marketing. And many of the property managers who do marketing will not use all available online resources. The Apartment Medellín in Colombia is a notable exception, using a number of large booking sites in addition to their own highly-ranked site… but they’re the exception rather than the rule. Finally, maybe you want to just do it yourself to save money. You could pay a property manager as much as 25% of your income in some markets, which is significant. There are only three booking sites that I recommend: Airbnb, FlipKey, andHomeAway. Airbnb has over 1.5 million listings for 34,000 cities in 191 countries, making it (by far) the world’s most-popular booking website. Listing a property on Airbnb is simple and straightforward. If you are not already a member, you will need to create a profile. Once you’ve created your profile, you can begin to set up your property listing. You can choose whatever price to rent your property, but Airbnb will also suggest a rate based on your property’s location and current demand. As a safety precaution, it’s highly recommended that you require ID verification for all your guests. This allows you to properly screen and vet potential guests of your property. Airbnb will handle all of the payments from your approved guests, so you will never have to deal directly with money. While listing your property on Airbnb is free, they collect a 3% host service fee on each reservation. Your payment (less the 3% fee) will be sent automatically 24 hours after your guest checks in. Payments are made via PayPal, direct deposit, or international wire transfer. Find out more about Airbnb here. FlipKey: With Exposure To Over 350 Million Travelers. FlipKey is the online booking arm of TripAdvisor, the world’s largest travel community. So when you list your property through FlipKey, you’ll get exposure to over 350 million TripAdvisor travelers every month. To post your listing, you’ll need to sign up for a free account. Once your account is active, you can list your property with its details, features, and amenities. In order to list more than five properties, you’ll need to get in touch withTripAdvisor’s dedicated property-management team. Once your listing is up, guests can make reservations and submit payment through TripAdvisor’s secure payment platform. You will only pay a 3% commission fee for each booking. Once your guest has been checked in, payment will be transferred to your account. For more information on FlipKey, you can check out their website here. HomeAway—a subsidiary of Expedia, one of the largest travel website portals—has a network of 50 sites around the world including the popular VRBO (Vacation Rentals by Owner). So when you list your property with HomeAway, it will be visible throughout their entire network, which receives over 44 million visitors a month. In order to list your property on HomeAway, you will first need to create an account. After your account has been created, list your property on the site with a detailed description, including all amenities and up to 24 photos. HomeAway has two options for listing your property. Homeowners can use the pay-per-booking model or pay an annual flat fee. With the pay-per-booking model, you pay a 10% commission for each booking. The annual flat-fee option could make sense if your unit is renting at a high frequency. The annual flat fee starts at US$349. Follow the link to learn more about HomeAway. In addition to marketing your rental property on booking websites, you can promote your property through online classified websites like Craigslist. Depending on what demographic you are targeting (expats, foreigners, or locals), you might want to place ads in local online classifieds in the country where your property is based. If you’re targeting North American renters,Craigslist is the only classified ad site you should be focused on. If you own multiple rental properties overseas (and even in your hometown), you should consider creating your own property-rental website. While you may think it’s a huge undertaking, it’s not as complicated as you’d expect. Gone are the days when creating a website from scratch meant learning intricate code or hiring an expensive web developer. Now all you need is a domain name, a hosting account, WordPress, a WordPress plug-in for rental management, andPayPal to collect payments. You’ll also probably want to have a custom logo created for your site. With the exception of logo design, you should be able to handle the setup of the website. However, if you don’t want to go through the process of setting up your website, you can hire someone to do it for you through outsourcing sites such as Elance,Upwork, and Fiverr. The total cost to set up your rental website, including logo design and purchase of the WordPress plug-in, should be no more than US$400. The only ongoing costs you will have include your website hosting service (up to US$19 per month) along with paid advertising through online promotional channels like Google AdWords, Microsoft Bing, and Facebook Ads. As an overseas rental-property owner, you’ve got plenty of options to maximize your rental yields. However, it all comes down to what your investment objectives are, and how much time you’re willing to dedicate to promoting your rental property. If you’re content with letting your rental manager handle everything, that’s fine… but I’d recommend that you sit down with them and go over the marketing and operational plan. In particular, you and your rental manager should list your property on at least two of the three major rental platforms. If I had to pick two, I would choose Airbnb and FlipKey. Finally, if you own more than five short-term rental properties, you should consider creating your own rental portal. This would allow you to specifically promote and advertise your properties directly through paid advertising platforms such as Facebook Ads and Google AdWords. Plus, it adds another promotional channel for your properties in addition to all other marketing platforms that you are using. A good property manager can go a long way towards bringing you a good return. But the best returns are reserved for those who cast a broad net, on as many platforms as possible. Editor’s note: Omar Best is editor of Global Property Advisor, a premium subscription service focused on buying property abroad for investment or lifestyle. He’s also our front-running property scout, and is often the first person on the ground when targeting new markets or opportunities. Omar is an expat based in Panama City, Panama. Thanks for recommending foreign banking options in Colombia and Uruguay. Would I be able to open a bank account in Uruguay without presenting myself? And what are the requirements for opening an account? How easy/difficult is it to take the money out of the country when needed? I would appreciate a bank recommendation from you. We got a few letters this week inquiring about banking in Uruguay. The requirements for opening an account will differ with every bank. In my experience and opinion, the national bank—Banco de la República—offered the least hassle and the most security. They’re the ones who offered the 10% CDs. The minimum investment is 5,000 pesos, or about US$162. I don’t personally know of any bank that will allow you to open an account without appearing in person, but they may exist. For the latest in the banking world in Uruguay, our primary legal resource is Juan Federico Fischer. I am interested in your agricultural investments like the avocado plantation, but I have a few questions. How easy is it to sell this property if I need to and how would I go about it? Also, do these new plantations acquire arable land or do they clear the rainforest for the land? In these offers (avocado, lime, mango, and guava plantations), the land that you buy is titled directly to you, so you can sell it whenever you like. If you sell, the plantation’s manager has the first option to buy. And the land for the plantation is arable land, not rainforest. If you do sell however, I’d suggest waiting until your land is producing (if you can). It will be more valuable at that time, since it will be producing income. I enjoy your newsletters… especially the ones on Colombia, as I have just recently purchased a lovely property in Santa Rosa de Cabal. The area is called Guacas, about four hours from Medellín. I seem to be the only foreigner here (!) although supposedly there are two others. It’s a gorgeous place, and I agree with everything you say about Colombia—it’s really wonderful, for so many reasons! I am requesting advice regarding shipping of my personal belongings from British Columbia, Canada—not much, just several large boxes. I would appreciate any advice you may have. And thank you for all the good things you have to say about Colombia—thank goodness it’s been kept a secret for so long! With respect to the moving question, I’ve completed a number of international moves, and processed the paperwork to bring the items in. With only a few boxes to move, I’d keep it simple and use a company like DHL, FedEx, or UPS. There are cheaper options. But these guys are fast and efficient, with good tracking systems and customs processes. Be sure to include a complete list (in Spanish) of what’s in the boxes, and their current commercial value.